The country of Peru is probably the most popular destination in South America for all types of travelers. It’s not surprising why Peru is the tourism queen of the continent. Few countries on earth can bost such diverse landscapes, climates and cultures. Peru pretty much has everything, from the pulsating urban sprawl of Lima, desert landscapes, jungle, high mountains and of course one of the most well known treks on earth, the Inca Trail. Arriving in Peru as a solo traveler you probably have a pretty good idea of the places you want to visit. The typical ‘gringo trail’ goes from Lima to Cusco, via Arequipa and Puno. Of course there is a lot in between. 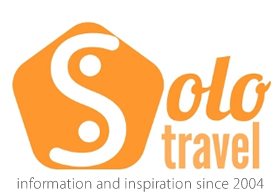 For more about visiting Peru and for guide books, then check out the Lonely Planet. Peru is a big country and these places are seperated by many, many kms of road! So how can you get around? You could take public buses. Indeed this would be the cheapest way to get around, but would also be the least comfortable and not particularly safe either. As a solo traveler, you might feel even more vulnerable on these buses. 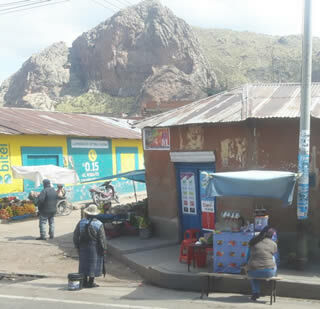 You could take luxury or first class buses, such as Cruz de Sur, which are mainly aimed at rich locals and flashpackers. They are way more expensive than public buses but offer more in the way of safe travel. The issue is that the bus stations are often on the edges of towns, or a long way from where the hostels are. This will often mean running the guantlet of local taxis at the end of long bus trips. Not idea and it can sometimes be dangerous to get in taxis alone, particularly with all your gear on you. You could fly. It’s possible to visit all the main centres in Peru via the domestic flight network. Indeed, if you are very short on time, then this might be the best option. It would also be the most expensive option too. Quite often you will be paying twice the amount locals pay (on certain airlines). I looked at flights from Arequipa to Cusco and they were all above $150 (this is not even high season prices). So let me introduce you to the last, and in my honest opinion, the best option for getting around Peru – Peruhop. Peruhop, as the name suggests, is a hop on / hop off bus service that visits all the main stops in Peru. Not only does it cover the big ticket places, it also stops at some lesser known attractions too, which would be very hard to get to independently. These extra stops are often free as well! Paddington Bear would have loved Peruhop! Valid for one year, includes scheduled stops at Paracas, Huacachina, Arequipa, Cusco. 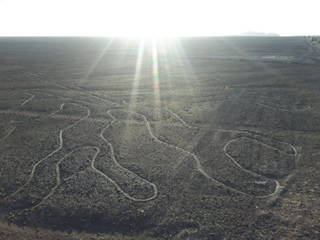 Note – It would have been possible to have stopped over in Nazca, although this is not an official stage. I didn’t, so hopped from Huacachina to Arequipa. They have a really easy to use online booking system where you can change your buses and add where you want to be picked up. The login link is available on their home page and it’s also mobile friendly too! Most trips on Peruhop start out of Lima, I guess because most travelers arrive here. It is possible to do the reverse trip from Cusco as well as many other alternative routes. Peruhop is very flexible! I arrived in Peru with no knowledge of Peruhop so it was totally off my radar. I had pre-planned to take first class buses around the country, with a possible flight from Arequipa to Cusco. It was only when I spotted a flyer in my Lima hotel that my plans would change. I read the flyer and saw that the Peruhop office was just over the road (I was staying in the popular area of Miraflores). I must admit that my previous knowledge of these hop on/off buses was of those in Australia and NZ. The OZ/Kiwi Experience makes no effort to hide that they are firmly geared at young backpackers who are very much looking to party. As someone in their 40s, I did not want this experience in Peru, so I popped over to their office with a little caution. My fears were soon put to rest by a very helpful sales person and then one of the owners! They were honest and said that the main age groups would be a little younger than me, but actually they cater for all ages, even well beyond retirement age! This turned out to be true for the group on my bus out of Lima. I would say most were in their 20s with some in their 30s, but also there were people in their 40s, 50s and beyond. I certainly have no issue being around young people on these sort of trips. Age is just a number right? For me it’s nice to have a mix of ages and nationalities, and that’s exactly how it was on Peruhop, just as they said. The bus left at Lima around 6am and as promised one of the Peru Hop staff came bounding into my hotel reception to pick me up. The bus itself was parked just a block away and I climbed aboard and was pleased to see that I would not be the oldest person on the bus! There were two Peru Hop guides on the bus, but one would get off just as we were leaving Lima. We were given an excellent amount of useful information for the trip ahead including a run down of the day. The first guide also spoke passionately about Peru and was great entertainment. Our first brief stop was to a high point overlooking the city called Cristo del Pacifico. I could tell that there were other solo travelers on the bus as we all wandered about the view point. I’d say the majority were in couples or were friends, but it wasn’t a big deal on this trip as pretty much everyone was open and friendly. We then stopped for breakfast at an awesome roadstop that baked the freshest bread in Peru! It was also very cheap. In fact all the food stops on the trip were very good value and I can honestly say that I never had a bad meal (and that’s coming from a fussy eater!). Our next stop was at the Hacienda San Jose, Chincha which was a rebuilt Spanish colonial villa (it’s now a $250 a night hotel). What’s unique about this place was the slave tunnels that could be accessed inside the house and spread for many kilometers. We had a 15 minute venture through the tunnels and I was quite happy to see daylight again! We were now nearing our first stop, the coastal village of Paracas. I had just one night here, but of course you can stay as long as you want. Some people actually went on to the next stop. Best thing about Peruhop? They care. I stayed at one of the recommended hostels, the Paracas Backpackers (which was very nice). The meeting point was another hostel just a few doors down the road. Paracas is small so all the accommodation is close to one another. Our guide said that we could meet at 8pm and go for dinner together. Not that many chose to meet up but in some ways that was nice as we were a smaller group. The food was very good and we got free pisco sours! The next day would be one that will live long in my memory. Never have I done so much in one day (or had as much fun!). Our day started early for a boat trip to the Ballestas Islands. It was a 2 hour speed boat tour of the islands where we saw see penguins, sea lions and many marine birds. Ballestas Islands are known as “poor mans” Galapagos, but let me tell you that I was blown away by them and it was well worth the $15. Just a note about the extra trips that are offered by Peru Hop. Your guide will ask you on the bus if you want to partake in these trips and will collect the money at the same time (dollars or soles). I did a lot of research into these trips because they are run by a third parties. I was really surprised that the Peru Hop price was no more expensive than booking it yourself. Also there was no pressure whatsoever to go on these trips. No prelonged persuasion or hard selling, which is very refreshing, particularly in a tourist mecca like Peru! Bravo Peru Hop! So back to the trip report. After the islands we had plenty of time to check out of our hostels and grab some food before boarding the bus to the Paracas National Reserve. The Paracas National Reserve is one of the largest protected desert reserves in South America and it was really impressive. The weather was a little misty because of the time of year but you will see from the photo how awesome the views were! Back on the bus for the relatively short hop to Huacachina which is a small settlement that surrounds a desert oasis. We had enough time to check into our hostels and grab some lunch before meeting up for our next activity. For only $15 we had two hours of sand boarding and dune buggying. I have to confess that I am not much into adrenline activities. I have been to New Zealand numerous times and have never been near a bungy jump! I didn’t expect the dune buggying to be much of a big deal but it was very full on for me! We were taken up and down massive dunes at scarily high speeds. Some of the slopes were very steep but I actually enjoyed it in the end! Was told by the driver to wear my cap backwards so I wouldn’t knock him out in the buggy! The sand boarding was cool. I was expecting to be able to try this standing up, particularly as I have surfed for many years, but the dunes are steep and it would have been nearly impossible to stand up without a lot of experience. Instead people lay flat or sat up (in my case). I have to say that for $15 I have never had so much fun! The day was still not over! A few of us signed up for a bbq which turned out to be very good. Even a vegetarian in our group liked the variety of food on offer. The bbq included all you could drink cocktails, but I must say they were very watered down. I probably had 5 cups of Pisco Sour and felt no effect! There was also a cool moment when all the wait staff broke out into dance! Some of us then went on to a recommended bar with a rude name. The cocktails there were way stronger and one was enough for me, so I made it back to my room around midnight after a very memorable day! We had a later start as the bus was not due to leave util 1pm. This was most welcome after the previous day (and night!). I guess it was the day I was least looking forward too due to the long bus journey ahead. To be honest it all went pretty quickly and I even managed to sleep quite a bit on the overnight section. We had a change of bus at this point as our Peruhop branded bus was going back to Lima. The next bus was probably not as new but was still comfortable. We were informed by the guide that this bus would be replaced in the coming months, so you may well be on a brand new bus! The new bus was branded Inka Express who run tours mainly out of Cusco. 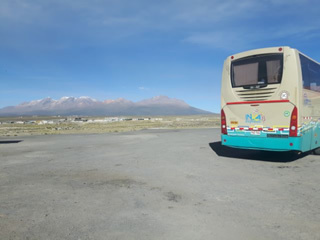 Some of the tripadvisor reviews pointed out that they were not happy with this bus, but I found it absolutely fine and really not much different to the Peruhop bus. So our first stop on the longest of journey days was at a Pisco Vineyard. Pisco is the national drink of Peru (and Chile) and is a sweet wine, but it’s much stronger than your average glass of merlot! This was another free stop and was very informative and we got to try three different varieties, all for free! We then had a few hours on the bus to the Nazca Lines look out tower. Quite a few people actually stay in the town and take a short flight to view these wonders, but most of the hopsters on my bus were happy enough to view them from the tower. 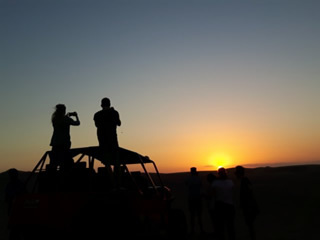 We dropped off and picked up a couple of people in Nazca itself and then headed south to Arequipa, which is where we would arrive at around 5am the next day. We had a dinner stop just before Nazca and again the food was excellent and cheap! The guide would take our orders on the bus and phone ahead, which made perfect sense as we were a big group. The bus was fairly busy for the long overnight to Arequipa, but luckily I scored two seats at the front meaning I had more room to stretch out. We arrived in Arequipa (Peru’s second largest city) at around 5.30am and was dropped off at our hostel. Peruhop always drops you off near or at your accommodation except for Cusco as the streets are too narrow. However, they pay for taxis to your hostel so don’t leave you stranded. They really do care, and that’s what impressed me most about Peru Hop. 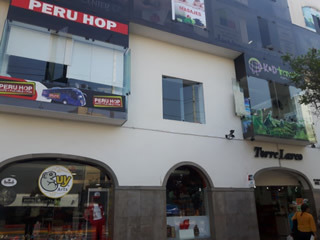 I had chosen the Flying Dog hostel, which was recommended by Peru Hop. My room at the Flying Dog. Looks cozy but was freezing cold. One night was enough! A note on accommodation. Because I prefer to stay in private rooms I tended to book myself in case there were no rooms left. Peru Hop will book for you on the bus and to my surprise were often a little cheaper than my ‘genius’ status on booking.com! Many of the other hopsters seemed happy to let Peru Hop book beds for them and I don’t think anyone was dissappointed. We did arrive is Huacachina on a long weekend and accommodation was tight so some of the hopsters didn’t get their first choice, but that was all due to this holiday weekend. We could not check into our rooms until 1pm but we could hang out in their lounge area and store our bigger bags. There was really no way around this although one of the other hopsters paid extra to check in early at another hotel. 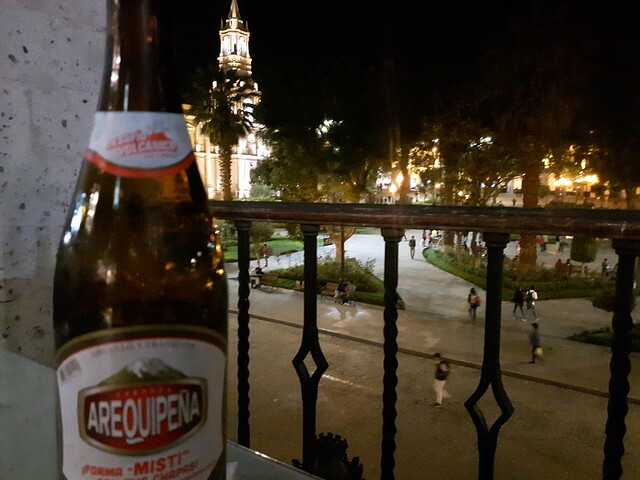 I stayed in Arequipa for five days and really enjoyed the city. I could have stayed there longer. Peru Hop recommended some trips to the Colca Canyon but I passed on them. The day trip started at 3am an I didn’t fancy an overnight trek. I did hear good reports from other hopsters. I changed my bus online for the day journey to Cusco. This is really easy to do as I mentioned before and I did it all from my cell phone. We had an early start for the all day bus trip over the Andes to the fabled city of Cusco (and sadly the end of my Peruhop). The bus journey was 12 hours but that seemed to fly by. We stopped for a very nice breakfast at the dizzy height of 4100m asl. Arequipa itself was at 2400m and Cusco is at 3300m. The highest point of the day would be over 4500m! I was a little worried about the effects of the high altitude having previously suffered in Morocco at only 4000m. Staying in Arequipa helped as did the coca tea that’s easily found in the Andes. In the end the altitude was not an issue for me, and from what I could tell, it was not an issue for anyone else either. Our next stop was at a very large lake at 4410m asl. There was a mini market and great views. These stops certainly helped pass the time and I noted that most of the other buses were not stopping at places like these. We stopped for lunch in a cute little town and again the food was amazing value and very tasty! Peru hop certainly knows the best places to eat. I chose grilled chicken, rice and chips! So onward to Cusco. I really wanted a day journey rather than night because I knew the scenary would blow me away. So it was around sundown when we arrived in Cusco. We pulled into the Peruhop bus depot and there was a line of taxis waiting for us. Peruhop buses cannot go into the Historical centre of Cusco but they pay for your taxi to your chosen accommodation, which is an awesome gesture! It was sad that my Peruhop experience was over. All that was left for me to do was to go to their Cusco office and pick up my free t-shirt. Having read many excellent reviews on Tripadvisor, my expectations were high. I have to admit that Peru Hop exceeded these high expectations. The guides were excellent and very informative. There were times when things could have really fallen apart, like in Paracas when there were many hopsters going in all sorts of directions, but we all ended up on the right buses. Peruhop is such a high quality outfit that I think they are going to have a massively positive impact on tourism in Peru. What I mean is that Peru has quite a bad reputation for dodgy bus companies, tour outfits that will grab your money and not give a stuff afterwards. Companies like Peruhop will do a lot for the nation’s tourism reputation and will hopefully help drag the standards of other operators to a higher level. The most important thing for me about Peruhop can be summed up in two words. I travelled with Perhop from Lima to Cusco in April and May 2017. I was offered a discount for the trip in return for a review. I made it clear that I would be as honest as possible to my readers, because like Peruhop, I care.